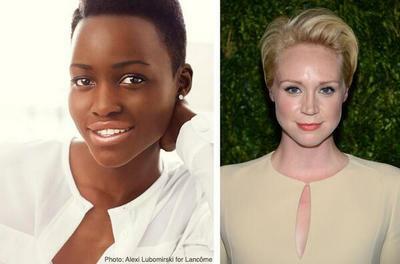 The official Star Wars Twitter on Monday presented Lupita Nyong'o (12 Years A Slave) and Gwendoline Christie (Game of Thrones) as the newest cast members of Star Wars: Episode VII. This news follows earlier casting announcements from April, and a pretty substantial leak showing off behind-the-scenes filming. The roles of Nyong'o and Christie are unknown, but it finally confirms rumors surrounding their involvement. With filming already underway, it's unclear where Nyong'o and Christie will fit into the story, especially with so many others already involved with the project. In addition to some of the original mainstays making their return, many other relative unknowns have joined Episode VII, including Oscar Isaac, John Boyega, Daisy Ridley, Adam Driver and Andy Serkis, who is best known for his motion capture work in The Lord of the Rings. Nyong'o is relatively new to Hollywood, but won critical acclaim for her role in 12 Years A Slave, even taking home an Oscar. Gwendoline Christie, meanwhile, is attached to The Hunger Games: Mockingjay (Part 1 & 2), and she has also featured in Games of Thrones.